1. You live at sea level. There is no where for the water to go. 2. Under grounding all power lines will help with reliability, but if you want it now, cut down all the trees. It’s called life in Florida. You can’t stop it. You just need to be prepared as individuals to deal with it. the Rule of the 5 P’s? Thank you Winter Park Voice and Mr. Gottfried, for a valuable analysis of what went wrong before and after Hurricane Irma. 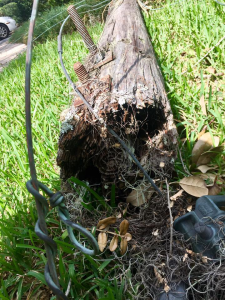 My electrical line is underground; we did not lose power. I was stunned when my neighbors along with sixty percent of WP’s residents were without power for days, with no evidence of a response by the city. Trees have been more than well managed; only a few mature trees are left on the city right-of-way. 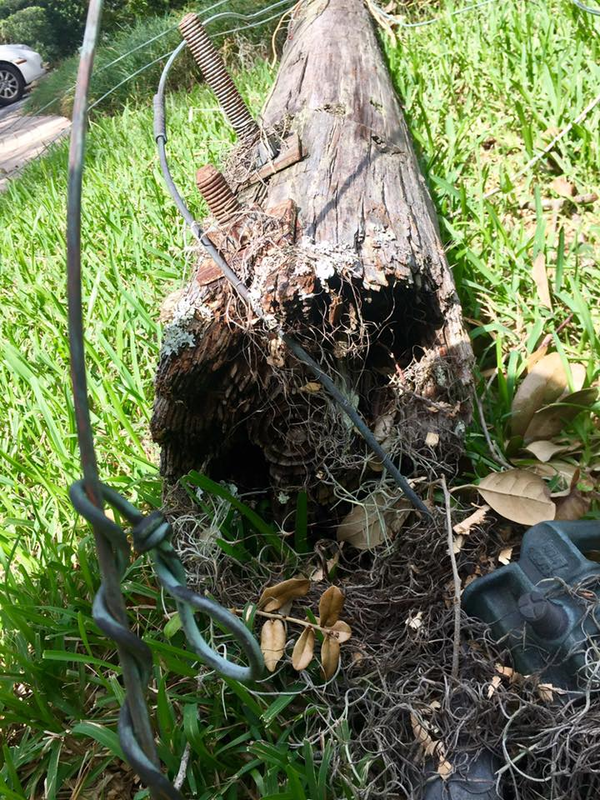 There were many small branches on the ground, but only a couple of downed trees; so we could not understand why the outage was so widespread in our neighborhood, including among residents with underground electrical lines, and why the repairs were so delayed. As individuals, we were more than prepared, and we’ve all been through repeated hurricanes. We helped each other out, charging cellphones, making ice, offering freezer space, but many had to move into hotels or to the homes of family and friends. The extent of the outage, the lack of response, the failure of sewage lift stations, and contamination of our waterways and lakes, and the initial (first four days) lack of substantive communication from the city was a blindside, even for those who try to stay well-informed. What happened was unexpectedly awful on multiple levels. The consensus is that we need much more information and public dialogue about WP’s basic infrastructure. 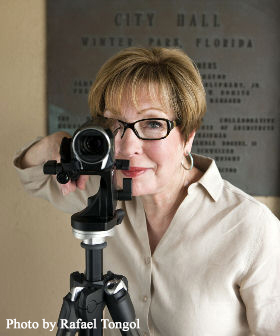 WPV is our go-to for the best information and analyses about Winter Park. Mr. Gottfried’s analysis is being shared widely. Thank you again, for this, this website, and your FB page. I disagree that we need to reconcile ourselves to simply “deal with it”. Technical and engineering advances are abundant and we can seek better solutions. Personally, I think we ignore reality at our own peril. For years I’ve witnessed water intrusion issues on homes that should’ve embraced two more truckloads of fill to raise it three or 4 inches. That was a builder, with a spreadsheet, that was trying to carve out that little line item. Furthermore I’ve witnessed code required retention on new construction that was half of the requirement. Up zoning to allow her greater coverage is damaging as well. Many of our customers are frustrated at the 50% impervious surface limitation. That is, until, the ambulance can’t get to their home because of flooding. Then that damn government regulation might save their babies life. I remain grateful to our city staff and policy makers. All hands were on deck. Timely notices, emergency telephone lines manned by department heads, firefighters quick response cutting up downed trees blocking roads, police patrolling neighborhoods. Many helping us, leaving their own families. What the storms did was expose areas that need attention. There is no perfect, but Winter Park’s response to Hurricane Irma was pretty close. Looking for our policy makers to give our staff the tools they need to keep our families safe. They, too, have difficult choices and money is limited. Thanking staff for their hard work. In this difficult time, we are all storm weary. Extend grace. Does anybody reading this really think that the voters of Winter Park would have approved building their new library in a flood area? Maybe the new design for the library will feature an under water theme, complete with fish and alligators swimming by the windows where patrons read? And the librarians can issue snorkels and scuba gear when they hand out library cards? Bring in your book late? No problem. Just put on your fishing boots and show them your FEMA approval for extension? 1) Leary approved putting the events center / library in MLK Park without voter approval. 2) Leary ignored a petition signed by over 2,000 residents requesting that the events center / library not be built in MLK Park, and refused to allow the petition to go to the voters to decide. 3) Leary ignored recent weather events’ proof that MLK Park is not suitable for development. Maybe what Winter Park really needs is protection from Hurricane Leary? Can somebody please agree with the author soon? I have some “talking points” I need to rebut with….. I completely agree. I worked with the city as my home started flooding at 1321 Magnolia Ave. after living there for almost 20 years. The front yard would flood from time to time but nothing like what i experience the last 2 years. I spoke with Randy Knight and he said there was no $ to do that yet they continued to issue development permits. The more they issued the worse the flooding got. I left WP as a result of the flooding and the city’s attitude. I had an engineer do a preliminary study and gave it to the city. They followed up and it seems that the issue covers 6 blocks and about 26 acres. Some of this involves Seminole County. Carolyn Cooper told me Seminole Co and the city have agreed to do another study. Don Marcott, city drainage engineer was helpful but he was the only one who was. I suggested to Comm. Cooper that rather than spending $ on another study the $ would be better spent on fixinf the problem. This went no where and i ended up having to sell my home at a significant loss. This doesn’t address the undergrounding of utilities that the citizens supported and the city’s request. That has stalled i understand. We don’t pay taxes for service. We pay taxes so that we can enjoy the delusion that the government provides a service to us.